Good news, our flight timetable has altered, no more getting up before dawn in order to reach the airport in Liverpool or Bergerac. 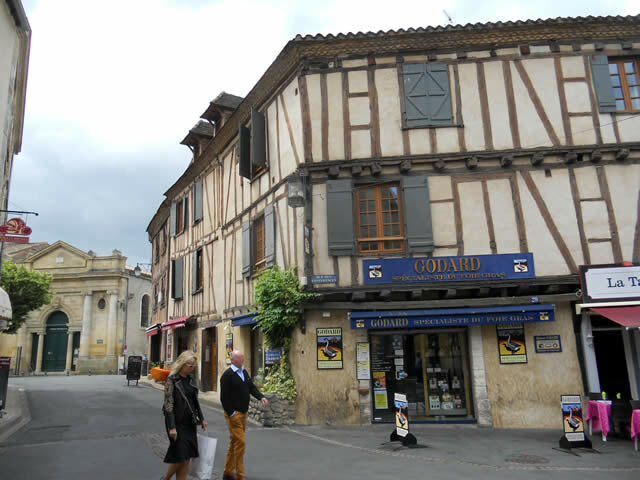 We now have plenty of time on our return to take in the magnificent scenery along the leisurely drive from Daglan and make stop overs in Bergerac for lunch as an added extra bonus. Cyrano the poetic cavalier with the big nose. 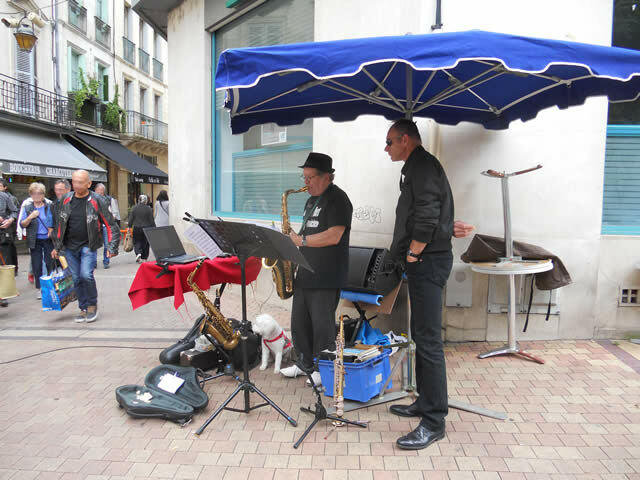 During our last visit there was a Jazz Festival in Bergerac, with musicians attending from all over the world for evening performances. Some enterprising groups took to the streets to entertain the shoppers. These two gentleman above were entertaining the lunchtime crowds. We had just finished our lunch when we spotted a young boy running up to the musicians and asking them if they would play, “You’re simply the best”, for his mother. Which they played impromptu, to the applause and spontaneous singing from the crowd. 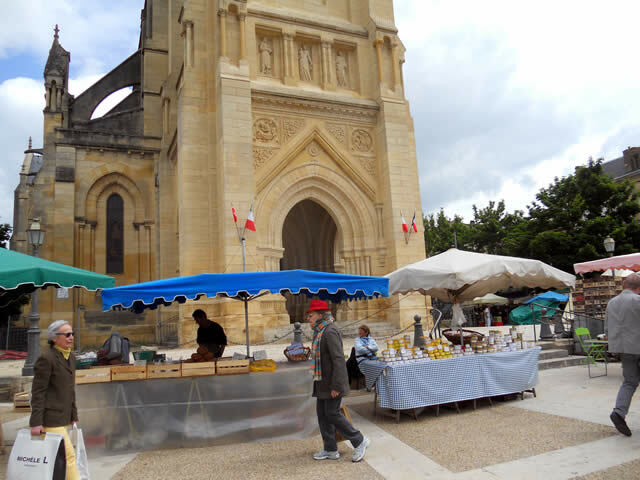 It is market day in Bergerac every Saturday morning, and what a market it is, the largest market in the area, taking hours to go round, with everything you could possible want to buy. 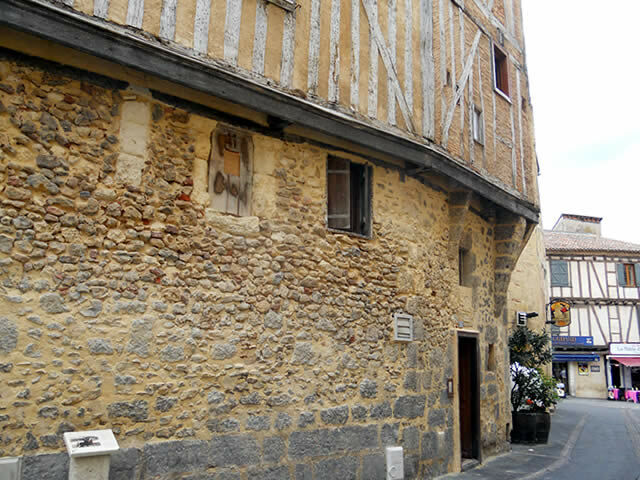 Medieval, half-timbered houses line the streets in the old quarter. 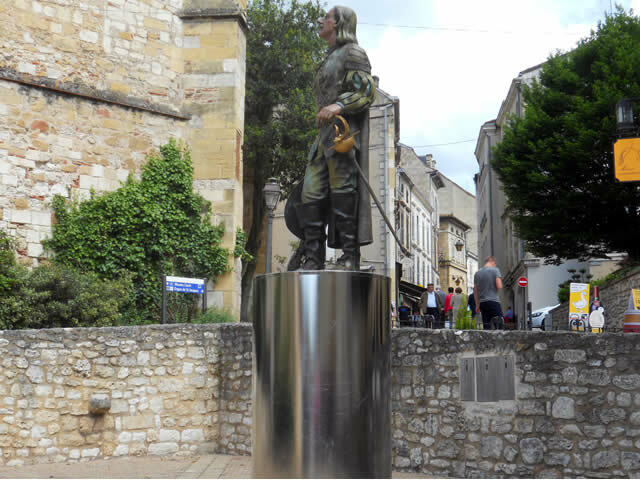 Bergerac is famous of course for its wine, but also for its National Institute du Tabac and its museum of tabac. Tobacco was first popularised in France by Catherine Medici who used it to cure her migraines!